From the outset, the Packet Company's focus has been to create top-quality solutions to some of the common problems that network and test engineers encounter. In doing so, we have provided our customers with a complementary mix of consultancy, products and bespoke features. A key part of this has been to make products that are open and flexible; this allows users to enhance and extend them, reconfigure them and integrate them with other systems. And it provides a high degree of future-proofing too. PacketRAID is our first official product - a multi-port, multi-format, multi-rate signal recorder for capturing Ethernet or SDH. It's incredibly flexible, both in the range of signal types and speeds that it can capture and replay, but also the platform itself. We are equally proud of the User Interface we have built. Not only is it beautiful, but it provides our users with an intuitive, informative and easy to use graphical environment - we're understandably very proud of what we have achieved. Andrew founded the Company in 2012, after spending most of the previous decade working as a Lead Engineer specialising in network monitoring and traffic analysis. With over 20 years experience in designing complex systems he thought it was the right time to venture out by himself. Andy has spent the past 30 years leading and developing specialist technical teams delivering new leading edge capabilities into UK Government Security. Through this work he has built up a vast knowledge and unrivalled list of contacts in this ever evolving environment. 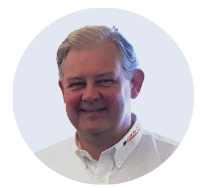 Andy brings with him over 35 years of experience across a wide variety of engineering sectors. His varied role is enabling the company to further develop it’s marketing, sales, and commercial offerings as well as bringing an enhanced level of professionalism to our technical deliveries. Gawen has spent 10 years in the telecommunications sector and brings a wide range of experience including network management, device command and control, web development, and programming with C++, Java and Python. Alex graduated from Cardiff University with a 1st class honours degree in Computer Science. He now spends a large part of his time developing the code for our PacketRAID recorders. His most recent work has been on our new PacketDIODE product. Jon has a wealth of knowledge in telecoms signals and protocols having spent his formative years working in telecommunication analytics. He has recently been working on the development of RawProc our new analytic tool. Please have a look at some of our latest articles. In late February 2019 we said goodbye to our temporary offices. Friday 1st March saw us move into a fully refurbished office space at Elmbridge Court near Gloucester. We are now conveniently located mid-way between Gloucester and Cheltenham, and within 2 minutes of Junction 11 of the M5 providing very easy access to all of our visitors. Work will soon be commencing on the office fit-out to meet our specific needs, we will be adding; a new meeting room, lab & build area, and also extending the kitchen area. The new spacious office looks absolutely amazing, and we can't wait to welcome both old and new customers. So please don't hesitate to give us a call to arrange a visit. The NEW Packet Company newsletter intriguingly titled the Packet Generation is set to be launched in early Spring 2019. This is set to be the first edition of our regular quarterly bulletins. Having undertaken some research we have decided to go to a paper based format, a lot of people we’ve spoken to have said they much prefer something physical to browse through. Often electronic newsletters and similar digital format papers just seem to get lost amongst the multitude of emails we seem to receive nowadays. It’s aimed to be both a light hearted yet informative read. Bringing you: news features, technical articles, advice & guidance, as well as providing an insight into some of the things that go on behind the scenes at The Packet Company. Plus we will also be running a competition within each edition, with a fantastic prize to be won each time. If you would like a copy, and have yet to receive one, please call us on: (UK) 0844 310 3330 or (INTL) +44 (0)1635 576626 or alternatively email at enquiries@packet.company. The last 6 months has been a pretty busy at The Packet Company. Alongside the development work of Version 3.0 of PacketRAID, the planning of our move into Elmbridge Court, and creating our first Packet Generation newsletter of 2018/19, we have also produced this new and improved website. Not only is it now packed with much more information than the previous version, it also features new and improved navigation plus a whole load of new content for you. The new website launched in Spring 2019. So if you’re reading this shortly before the Easter Break, then you are one of our very first visitors. Please stick around over the forthcoming months as we have some fantastic plans for the website. In this series we’ll be looking at time and time-keeping, and the challenges and opportunities when applied to packet capture and replay. In this space, accuracy is key - especially when correlating between recordings. But achieving consistency across multiple pieces of equipment deployed to several sites can be difficult. We'll attempt to address some of the common problems that occur and look at tested solutions, as well as covering some of the background to explain what is going on. So let’s start by looking at something very topical, and proving to be quite contentious. Some of the most common statistics to see for ethernet are the bit rate for a connection (e.g. 1G, 10G), the packet rate (e.g. 1.8Mpps) and the loading (e.g. 37%). But how are these calculated, and what do they mean in practice? The bit rate is the logical speed or bandwidth of the link, and indicates the maximum data rate that can be transmitted, including overheads (see below). The maximum packet rate isn't fixed, but depends on the average packet size, and this in turn depends on the traffic type. For example, VoIP packets tend to be very small, whilst web browsing packets are usually much larger. Loading describes what proportion of the link's bandwidth is being used, and takes into account the amount required by the packet itself plus ethernet overheads such as preamble and inter-frame gap. In developing the PacketRAID recorder, The Packet Company invested a considerable amount of time and effort into evaluating different storage configurations. Below, we outline our approach, one of the tools we developed, and the results we achieved. We are proud of our close relationships with some of the most innovative technology providers in the world. Our aim has always been to be positioned to provide our customers with the best products available within the marketplace. It is important that the products we resell form a complimentary IT Security ecosystem for our clients. Not only is innovation and technical excellence important in our selection criteria, but also ensuring that these partners have sustainable and enduring product roadmaps. It is critical that we provide cohesive and mutually beneficial solutions, however it is equally important that this also presents our valued customers with a long term, value for money capability. We are always looking to forge new relationships with similarly focussed businesses. So if you are either a product manufacturer or a service provider who you think provides products or technologies which have synergies with us, then please reach out to discuss this in more detail: either phone on (UK) 0844 310 3330 or (INTL) +44 (0)1635 5766260 or alternatively email at enquiries@packet.company.